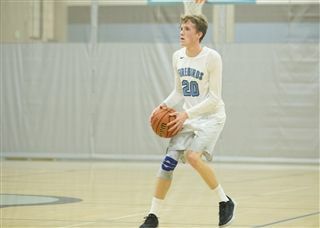 The boys basketball team beat Tri-City Christian High School January 22, 49-42. Currently Tri-City is ranked ranked highly and is the highest ranked team the Firebirds have taken down in the history of the boys’ basketball program, including playoffs and the 2015 championship! The Firebirds were led by 21 points from Nick Nielsen and 14 from Brady Burman, as well as a clutch 3 from Ryan Prvanov and some key free throws from Jett Jacobs to help seal the game. Way to go team! Be sure to cheer them on next Friday during the tailgate.